I. 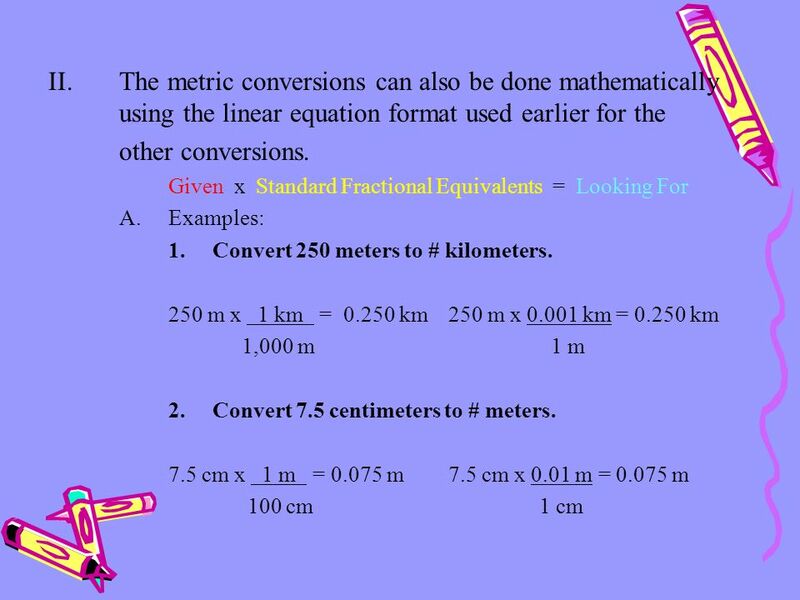 Metric System ~ Conversions using no math Working with the metric system seems to scare many students who are accustomed to using the English system. 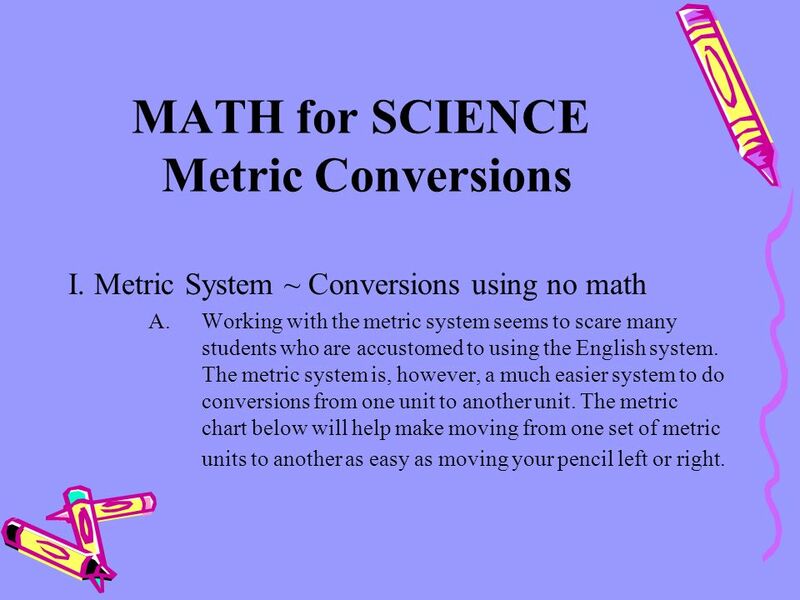 The metric system is, however, a much easier system to do conversions from one unit to another unit. 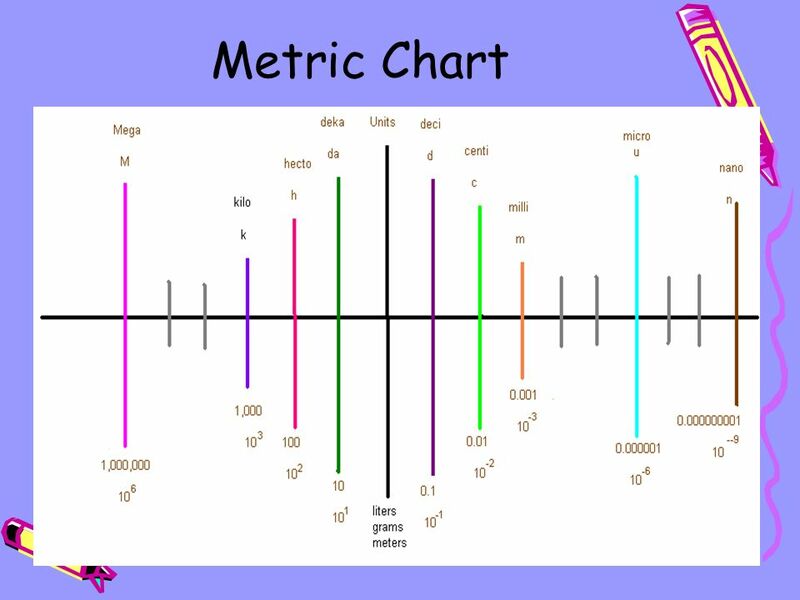 The metric chart below will help make moving from one set of metric units to another as easy as moving your pencil left or right. 2 To change units: 1. 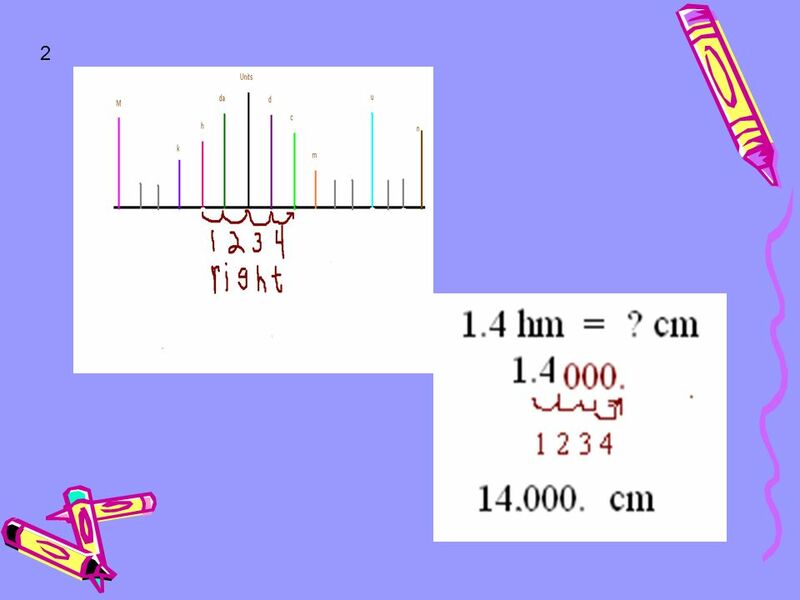 Go to the chart and place your pencil on the given units. 2. 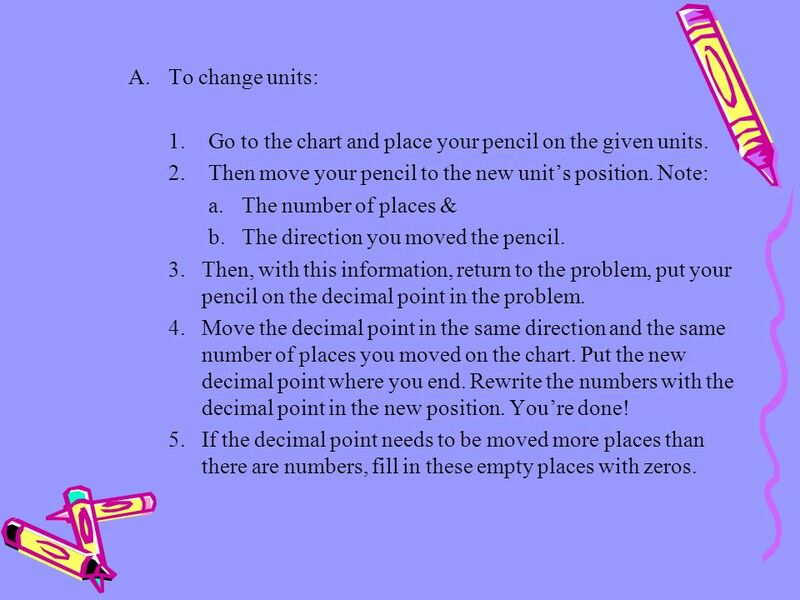 Then move your pencil to the new unit’s position. Note: The number of places & The direction you moved the pencil. 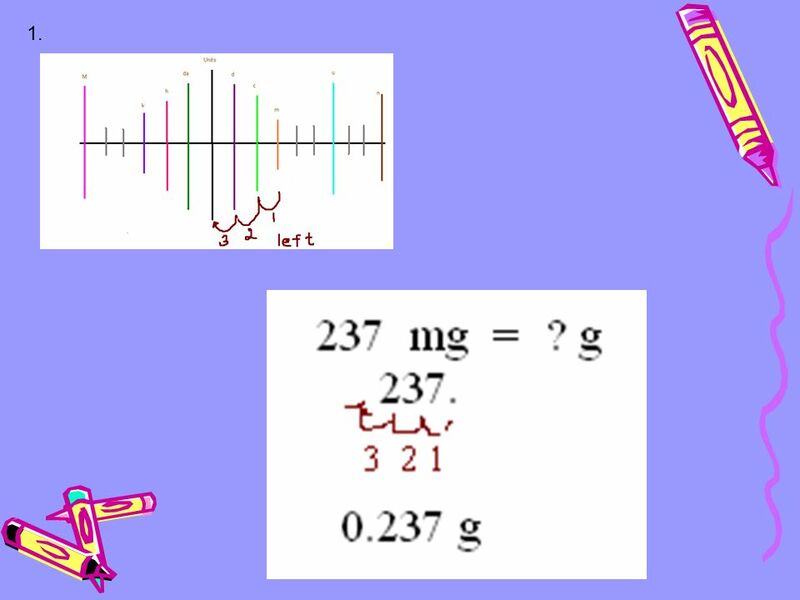 Then, with this information, return to the problem, put your pencil on the decimal point in the problem. 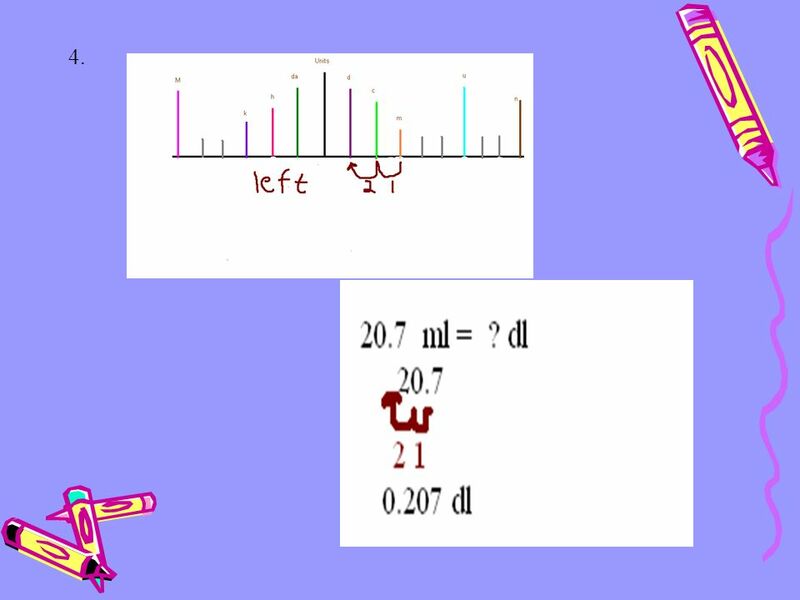 Move the decimal point in the same direction and the same number of places you moved on the chart. Put the new decimal point where you end. Rewrite the numbers with the decimal point in the new position. You’re done! If the decimal point needs to be moved more places than there are numbers, fill in these empty places with zeros. 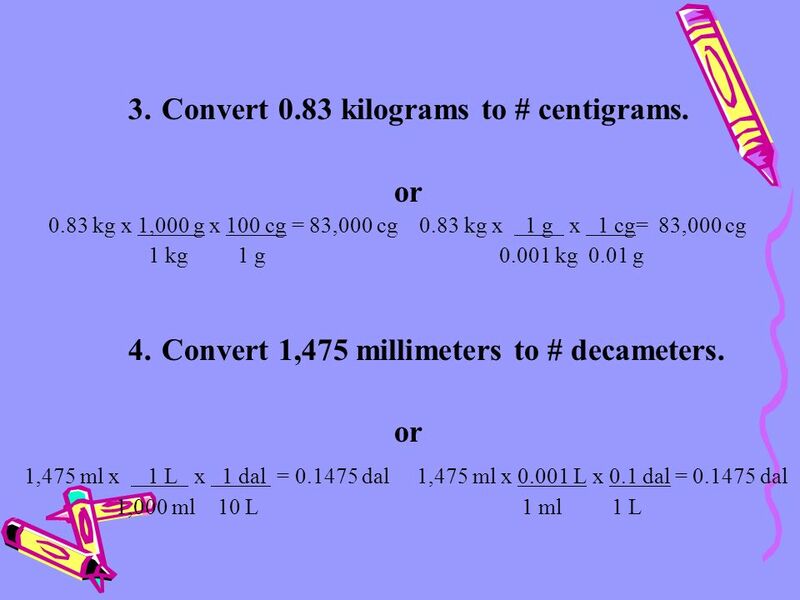 Download ppt "MATH for SCIENCE Metric Conversions"
AIM: How do we convert units using conversion factors? Metrics You can do this!. 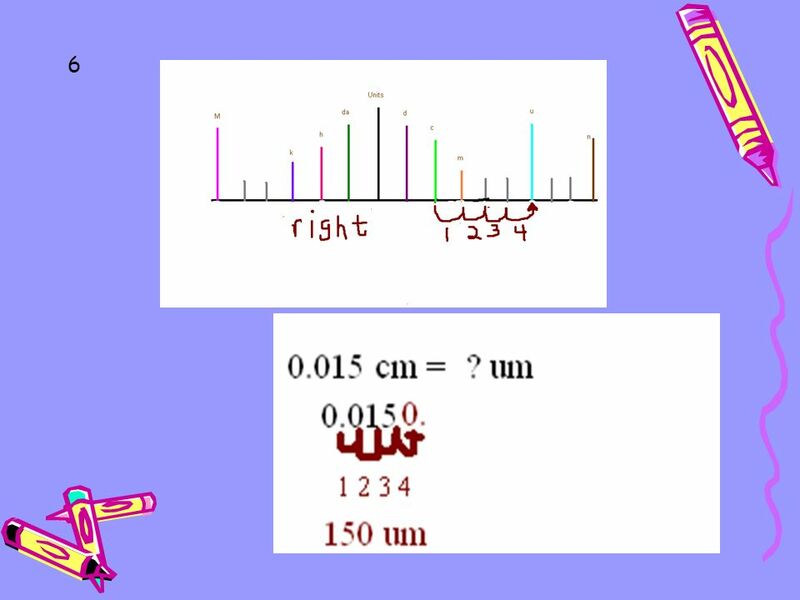 Converting Units in the Metric System Lesson 8-6:. The Metric System of Measurement. 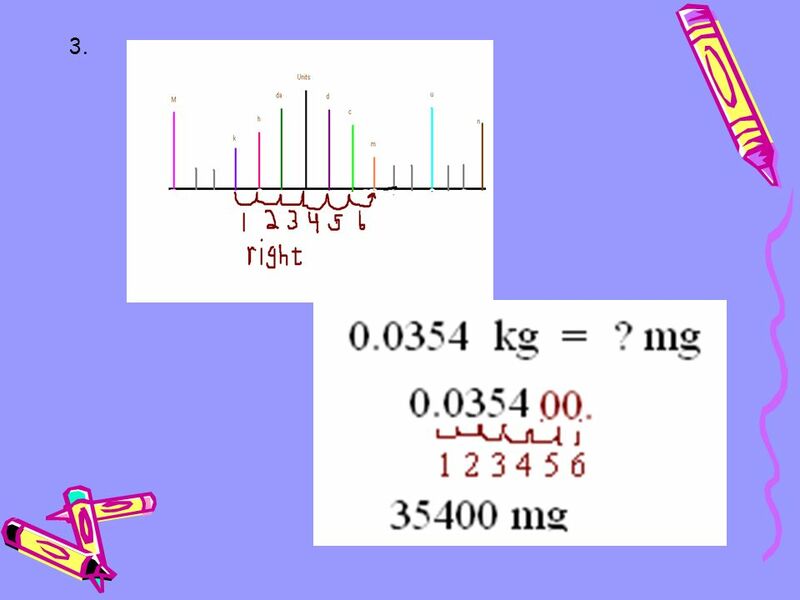 *Information The metric system of measurement is based on the number “ten” (10). We, the United States, use the English. 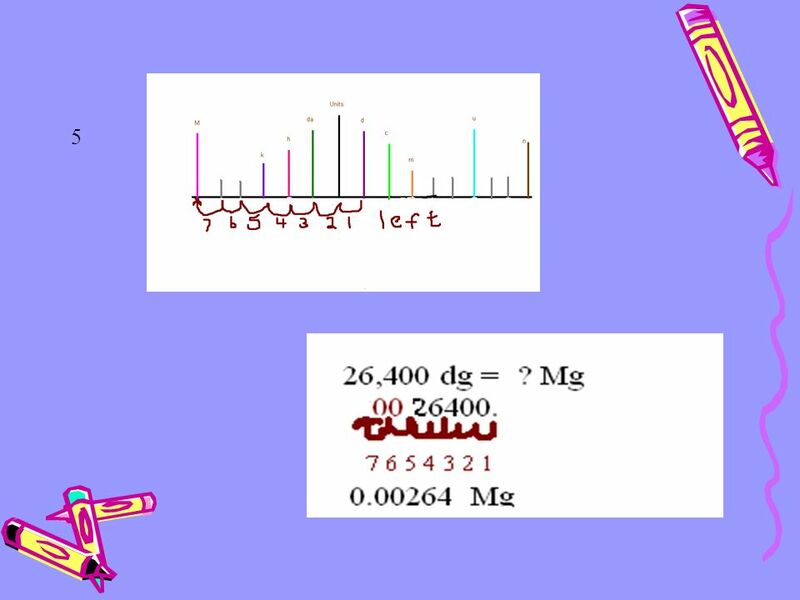 Physics Lesson 1.1 The Metric System and Dimensional Analysis.